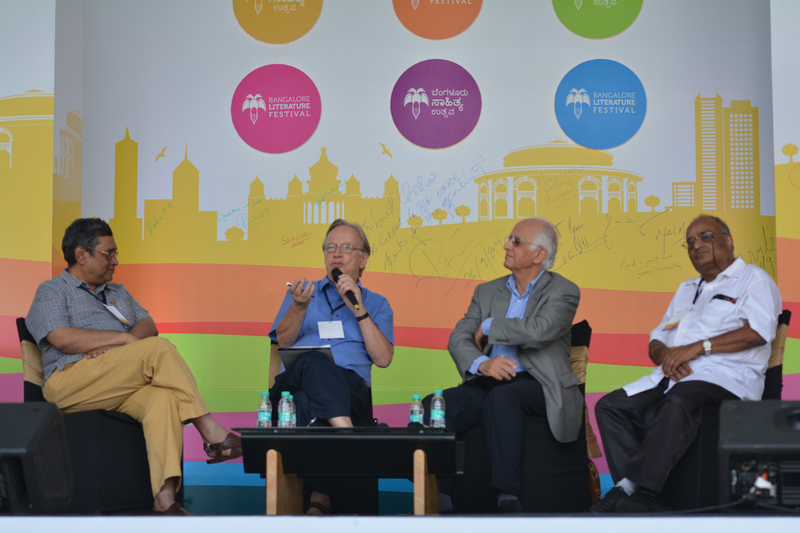 Home / BLF Live / BLF 2014 Reports / BLF 2014 Reports Day 2 / India: Crouching Tiger or Gasping Elephant? One of the panelists, Dr. R. Vaidyanathan suggests the whole title itself seems an Anglo-Saxon interpretation, probably inspired by something like the Wall Street Journal. He is dismissive of the American media’s approach to India and critical of the US “trying to use Indian shoulders, to shoot at China.” Vaidyanathan feels the US is fast turning into a spent force. The rising stars of the economic firmament, are the three Asian countries: China, Japan and India. Vaidyanathan contends there are many ways in which India could engage with China. 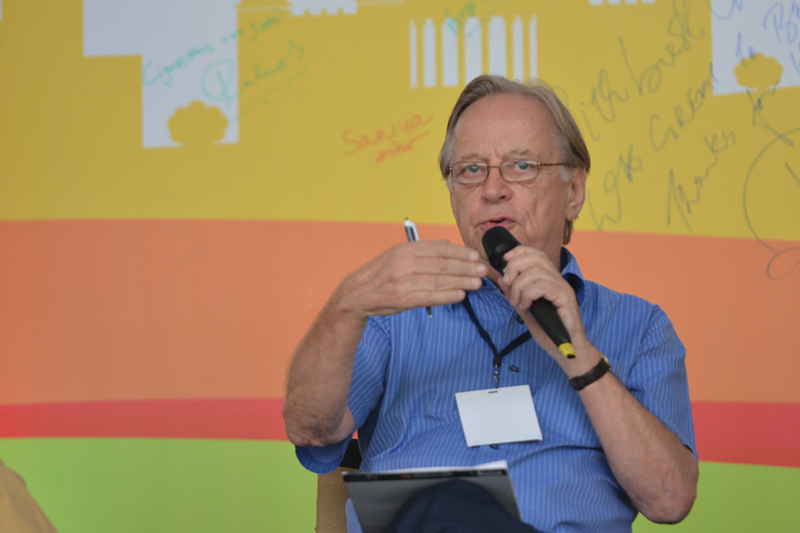 John Elliot, journalist and best-selling author, feels that it is time for India to shake off its China obsession. 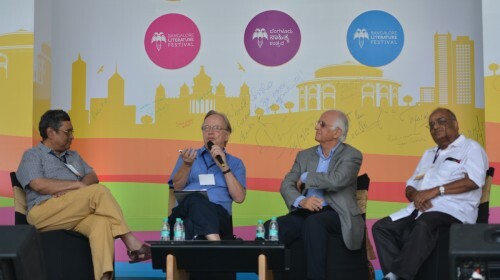 He asks, “How many Literary Festivals in China would be agonising over India?” The answer is: none. It is time for Indians to realise that China has won the economic battle; it would be impossible, however, for Indians to live in a society like China. “Get on with being Indian,” Elliot urges. Having written extensively about the Indian attitude of “fix it/fiddle it”, he wonders how a society with a lack of respect for democratic institutions, could ever really progress. The mindset has to change. 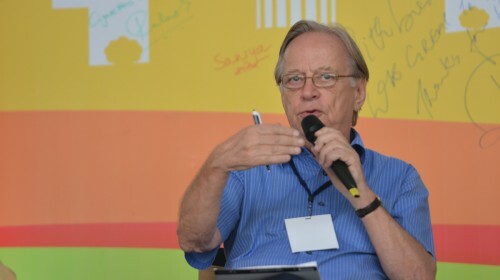 Arun Maira, who has been a member of the Planning Commission, says that India has great possibilities, if collective decision-making and more people participation could be incorporated into government. In his view, the problem are the “Argumentative Indians” whose clashing viewpoints create a lack of consensus, which is necessary to move forward on policy reform. Maira admires practices like Total Quality Management, which he contends could contribute to a change in mindset. Japan is a key implementer of such industrial practices. Lagging in services and production in the 1950’s and 1960’s, Japan orchestrated a complete turnaround to show that they could be “better than the rest.” Maira contends that it is possible for Indians to make similar drastic positive change. Swapan Dasgupta observes that there are “many shades of grey” in India and suggests that this could be linked to the Hindu ethos and its ambivalence towards certain issues. Dr. R Vaidyanathan, IIM Professor, takes the position that the only “Argumentative Indian” is, in fact, the Anglo-Saxon one! 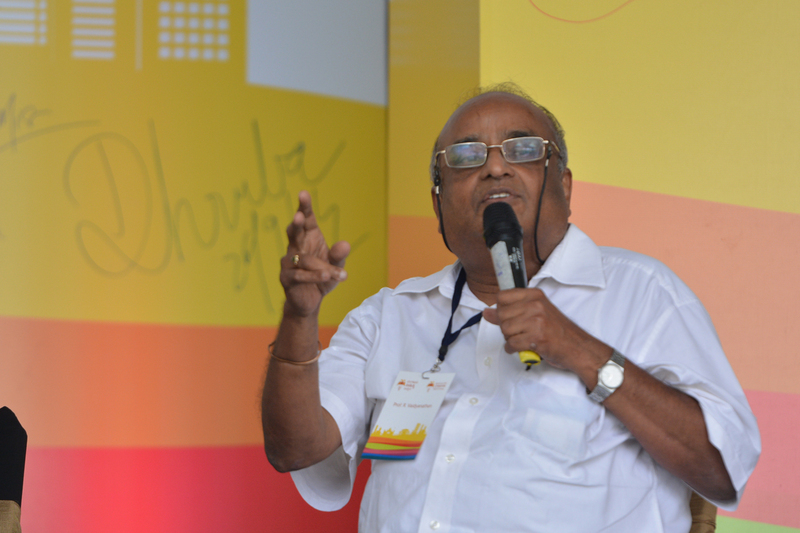 Vaidyanathan insists that India has much to teach the world, including China. The battle with China can be won, without weapons. The battlefield, can in fact, be the field of culture. By exporting Yoga, the Bhagavad Gita and the Amar Chitra Katha books, India can extend its cultural might. 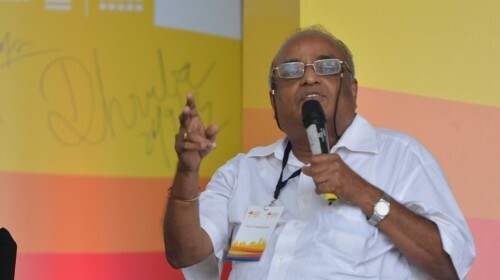 In Vaidyanathan’s view, China appears spiritually bereft through decades of Mao-worship and would greatly benefit from learning the Indian approach to life. While the audience may have preferred more diplomatic language in the elaboration of these points, it’s important to take heed of the message under Dr. Vaidyanathan’s provocative style. Despite the criticism of oversimplified views on India, there is an element of hope in most of the speakers, with regard to the possibilities for India. Although the British John Elliot expresses strong reservations about the casual approach of Indians, the session provides much food for thought. Most importantly, however, the panel unilaterally places the responsibility for orchestrating change, on each Indian’s shoulders. The panel places responsibility for orchestrating change on each Indian’s shoulders.